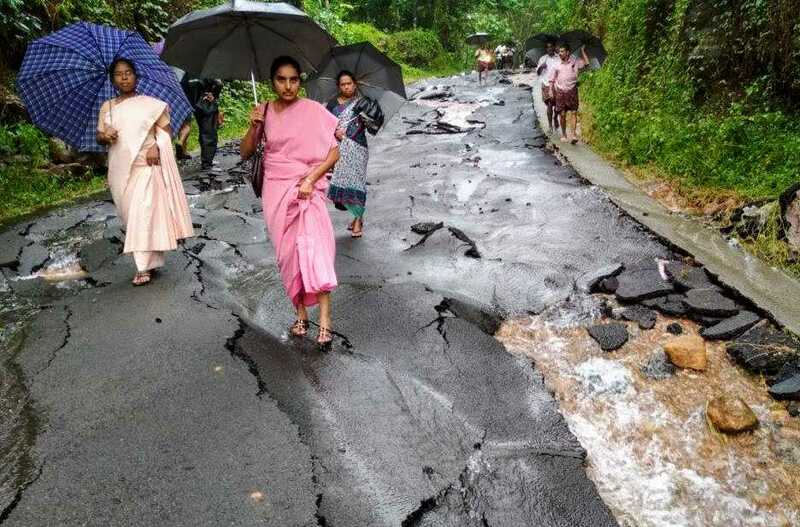 As torrential rains hammer Kerala, a sense of normalcy for residents near the Sisters’ school in Anakkampoyil is hard to find. The southern Indian state is reeling under the worst natural calamity it has faced in nearly a century. The Sisters of Charity of Nazareth’s school is helping the local families with food and other donations to help with immediate relief. Once the rains relent and people look to get back to their homes, they will need help to build houses. “It is through the past contributions of so many generous people that we will be able to help the displaced and the needy,” says Sister Sincy. Please keep the Sisters who minister in Anakkampoyil and all of the residents affected by flooding in your prayers. 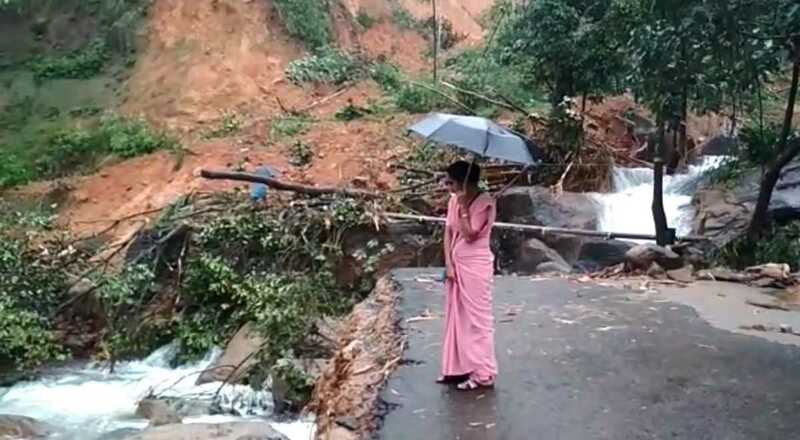 Sister Sincy evaluates the situation in front of their school as many villages in Kerala like this one in Anakkampoyil are grappling with severe flooding conditions from torrential rains, overflowing rivers, and a series of landslides. Sisters and all affected….You are constantly in our thoughts and prayers. Our gratitude for each of the Sisters and associates who are with the people in their struggles. My thoughts and prayers hold all those suffering from the floods and those helping with relief. God give them courage. Suffering w/ the people of Kerala is so difficult during this kind of disaster. Know all of you in Kerala are held in prayer. I know some people in Kerala ans this makes me very sad. It is a blessing to know that the Sisters are there and that the people of the area have someone to help care for them and keep their spirits up at this time of devastation and fear for safety/ Prayers are with you, Sisters and the people of Kerala! Sincy, my heart is so saddened to view the devastation in Kerala. are helping and giving hope. The work you are doing is amazing, and we will continue to pray that God gives you His almighty strength and wisdom as you minister to those in need. Prayers and offerings coming your way, dear sisters and people of the region. Please know you are held in heart and in prayer. May the rains stop and may you know the support of community in rebuilding. My heart and prayer are with you. Our prayers continue for everyone suffering from this flooding. As Director of our Disaster Relief Ministry, I know that flooding takes months and years to bounce back to somewhat “normal”. Know we hold you in our hearts, thoughts and prayers during this turbulent time . What a horrible situation! My prayers will continue for you. The children at Montessori will be praying for you daily,also.